I Want a Sea Cow! 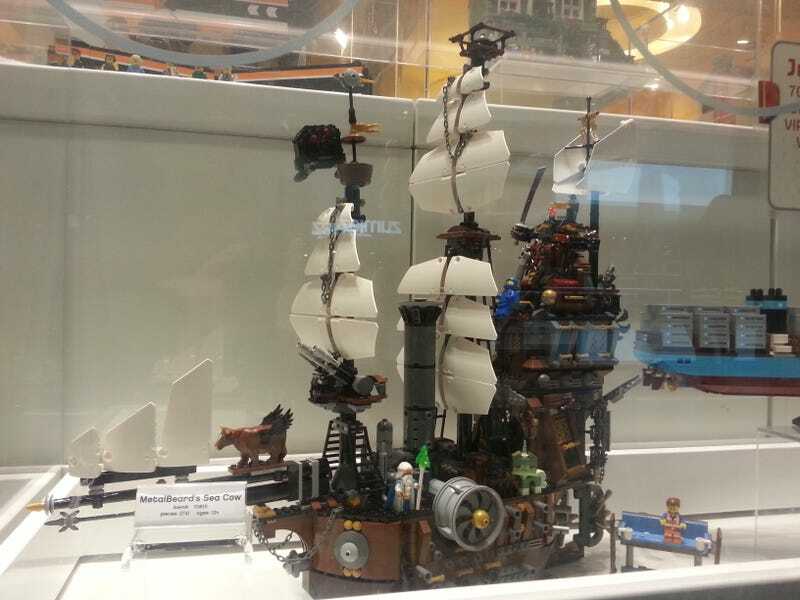 ...but then I saw the Lego the Movie's Sea Cow. Hello ParTAY Peeps! Welcome again to Friday! Who's still here? Isn't it quitting time? I hope it is for everyone but I guess that's not always the case. This here is TAY Time Chat - The place where I am making an appearance because somebody claimed they had to pack their bags and run errands. That's interesting considering they have been blowing up my WhatsApp all day! Mhm. Sure Florida Man has the American news covered, but let us not forget about New Jersey. They do local AND international! Luxurious. I need my squirrels to look as ridiculous as possible. I'll take five of these please. Michael. Bay. Intent. On. Destroying. Birds. ...California keeps it klassy by being truly gross. Snot involved. Click at your own discretion. No drink for this weekend but have instead, a recipe courtesy of The Huffington Post! Who got it originally from Spoon University. The copycatting going on here is tremendous! Also, as HuffPo says, at least we can now eat a chick-fil-a without a side of hate. Preach! Have a great weekend, TAY!